Under current law, school boards may levy up to 14 cents per $100 of property valuation to establish a special fund for acquiring sites for school buildings, purchasing existing buildings for use as school buildings and the erection, alteration, equipping and furnishing of school buildings. 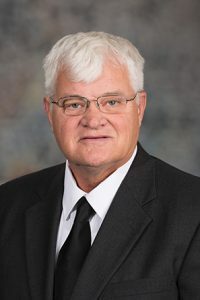 As introduced by North Platte Sen. Mike Groene, LB778 would restrict the use of the fund to repairs and alterations that do not add space to a school building and to equip or furnish school buildings. A pending Education Committee amendment would replace the bill. It would limit the levy to five cents and add to the list of authorized purposes major replacement repairs on existing structures. Under the amendment, whenever the special building fund levy is deemed insufficient for the authorized purposes, a school board or board of education could propose a special annual tax to the district’s voters at the next general election or at a special election held for that purpose. The tax, when combined with the 5-cent special building fund levy, could not exceed 14 cents and would be limited to a term of 10 years. A majority of the district’s voters could approve the tax. Groene said the proposal is in response to citizens’ concerns about high property taxes. “One way this body can assist taxpayers is to assure, when possible, they are directly included in major spending decisions when tax increases are necessary,” he said. The amendment would authorize school boards to continue an annual tax established prior to the effective date of the act through school fiscal year 2024-25 for any project commenced prior to the effective date of the act. It would require boards that levied an annual tax for school fiscal year 2017-18 to file a report with the auditor of public accounts that includes the levy rate and the project’s expected completion date. 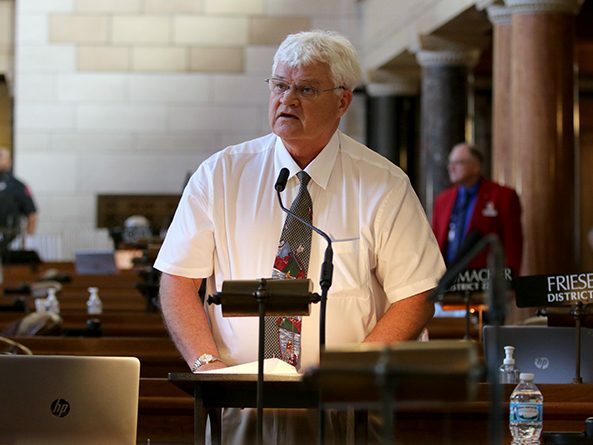 Bayard Sen. Steve Erdman supported the amendment, saying that it would increase local control by giving Nebraskans a greater say whether or not school districts spend their property tax dollars on new buildings. “I don’t know how much more local you can get when you let the taxpayer who is paying the bill to vote,” he said. Sen. Laura Ebke of Crete opposed the amendment, saying that the special building fund levy gives school boards flexibility in responding to their districts’ needs. Ebke said she could count on one hand the number of times citizens attended a bond hearing or budget hearing during her 12 years on the Crete Public Schools board, and she questioned whether the general public wants to be engaged in every school board decision. Fremont Sen. Lynne Walz also opposed the amendment. She said locally elected school boards are in the best position to make decisions on whether new school buildings are needed. “I think this bill would severely limit a school district’s ability to address critical needs, including building safety and growth,” Walz said. Groene filed a motion to invoke cloture, or cease debate and vote on the bill. The motion failed on a vote of 18-12. Thirty-three votes were needed. LB778 is unlikely to be scheduled for further debate this session.